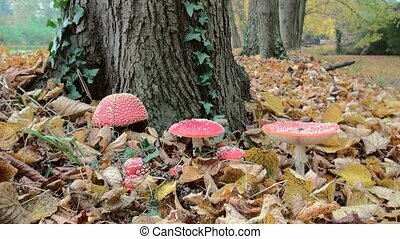 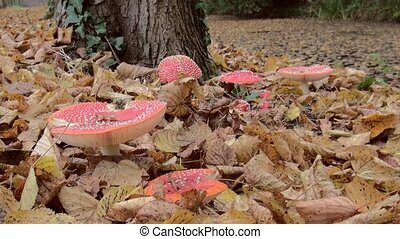 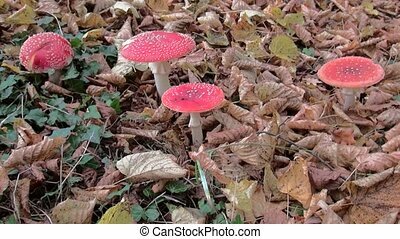 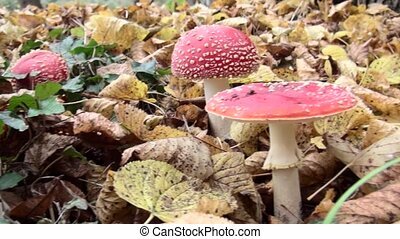 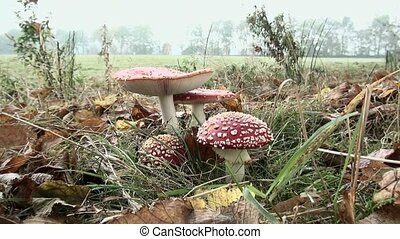 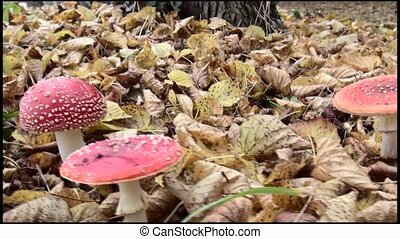 Fly agaric musrooms. 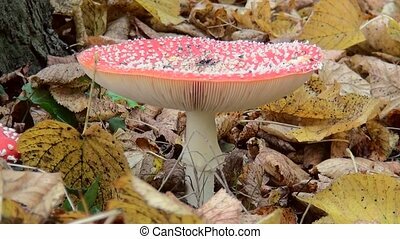 (amanita muscaria) The fly agaric (amanita muscaria) is a distinctive mushroom, which is common in the lowlands. 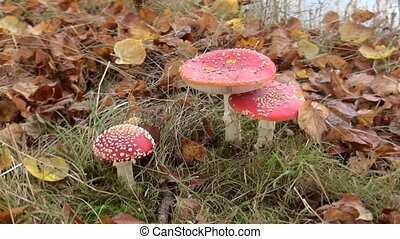 eating it can lead to poisoning.